Welcome to our "turtle-ly" awesome Digital release! the Digi My World store. The winners for each day are listed below. Let's take a look at look the new images. Notice the files come with line art AND clip art! Click on each image name to be taken directly to the link in the store. Let's take another look at the cute design team projects using the new release images. We hope you've enjoyed our February Release week. Please continue to visit our blog to see new projects posted by design team members every week day. What a great release so far! It's Day 4 featuring our design team members' projects using images from the New Release which will be available in the store on TOMORROW - woohoo! Thanks for visiting each day. 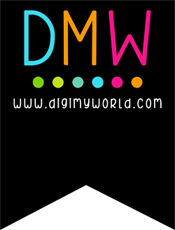 Our design members post a new Digi My World project every day (M-F) so you don't have to wait for release week to see fun and fabulous projects using Digi My World digital images and clip art. It's Day 3 featuring two more of our design team members' projects using images from the New Release which will be available in the store on Friday - woohoo! We hope you're as excited about these new images as we are. We have two more projects tomorrow so be sure to come back! Remember, all of the images will be in the Digi My World store on Friday. It's Day 2 featuring two more of our design team members' projects using images from the New Release which will be available in the store on Friday - woohoo! We hope you're as excited about these new images as we are. You'll see two more tomorrow so be sure to come back! Each day we'll feature two of our design team members' projects using images from the New Release which will be available in the store on Friday - woohoo! Be sure to come back tomorrow for two more fantastic projects. Exciting NEWS I'm on this Design team now !!! Happy Thursday! Rene here with my latest creation for Digi My World. It's never too early to get a jump (har har) on Easter cards. 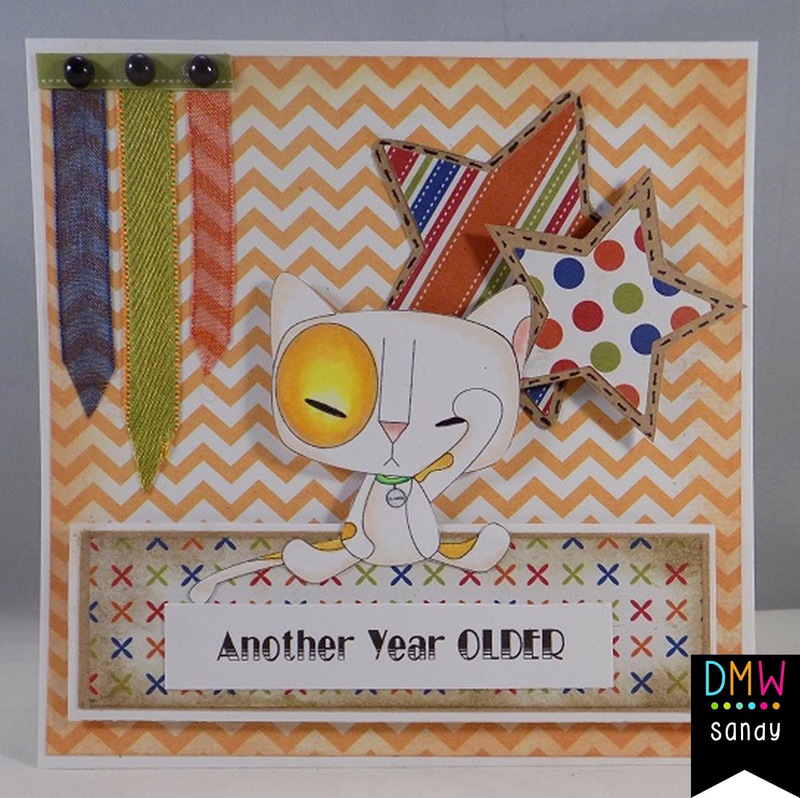 Here is a sweet and simple card using Short Earred Bunny. Hi, it's Sandy here sharing with you this really cute image. His name is Oliver. Isn't he so much fun!!! When I saw him at the Digi My World Store, I immediately thought of my eldest son. He always thinks his birthday is no big deal, and that it's just another day. When I saw Oliver, I knew that I had to make a birthday card using him just for my son. I am sure that the significance of him getting another year older plays a big part of this whole not wanting his birthday to arrive. I couldn't resist making this in hopes that it will put a smile on his face. He puts a smile on my face every time I look at him. I used On The Bright Side paper, and some of my scraps. I then inked the sides with Tim Holtz, Burlap and Tea Dye. I used my Stars Five die from Spellbinders! Colored Oliver with my Copics. The sentiment I made and printed off the computer. Hi everyone and happy Monday!! Hope you have all enjoyed a wonderful weekend. It is extremely cold in this part of the US, temperatures were so freezing yesterday that I felt like I had frostbite after being out for less than 10 min.!! Today is a holiday here, so kids are home from school. 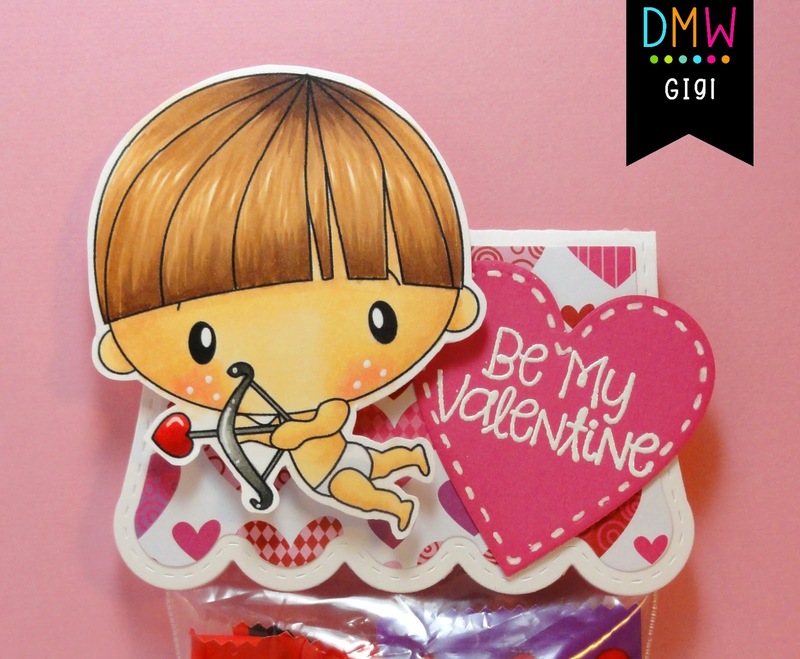 I am Audrey from the DT and I get to share my newest creation with you today using one of the adorable images Digi My World Shop and Cupid Workshop SVG cut files from SVG Cutting Files Shop. So, once again this week, I felt like doing something Spring-like. I am SO ready for Spring, so I think today's project is definitely showing some of my wishful thinking. I turned Cupid Workshop into a Spring-y house and chose I Pick You digi stamp from Digi My World Shop, which I colored in bright, sunshine-y colors. Image is colored with Copics - I used E31, E33, E35 and E57 for her hair, V09, V17, V15 and V12 for dress, shoes and hair ties. Socks and heart on dress done with E33, Y38, Y35 and Y32. Flower is RV95, RV85, RV83 and RV81. DP is from Best Creations. I sure hope you like it and will pay a visit to Digi My World Shop. 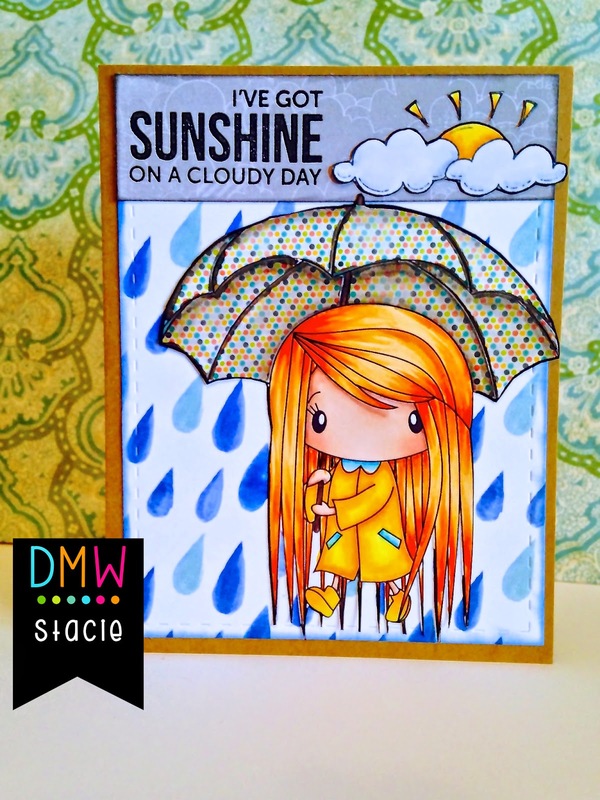 Stacie here with today's Digi My World post! The weather here has been so much like Spring that I am ready for the threat of winter to go away!! Some Spring showers are what I need! So until I can get them I colored up this adorable Rainy Day digi. It's Larelyn from Handmade From My Heart. Today I'm sharing an image from the I Pick You set. These images are available in digital stamp, clip art, and printable files - something for every crafter! I've colored the image with Copic Markers. The paper is is from my stash, sorry I don't remember the company, and I've used the Hugs and Kisses Cuttlebug embossing folder along with some Recollections gems to finish the card. Be sure to mark your calendar for our February New Release coming the week of February 23. Hello everyone! 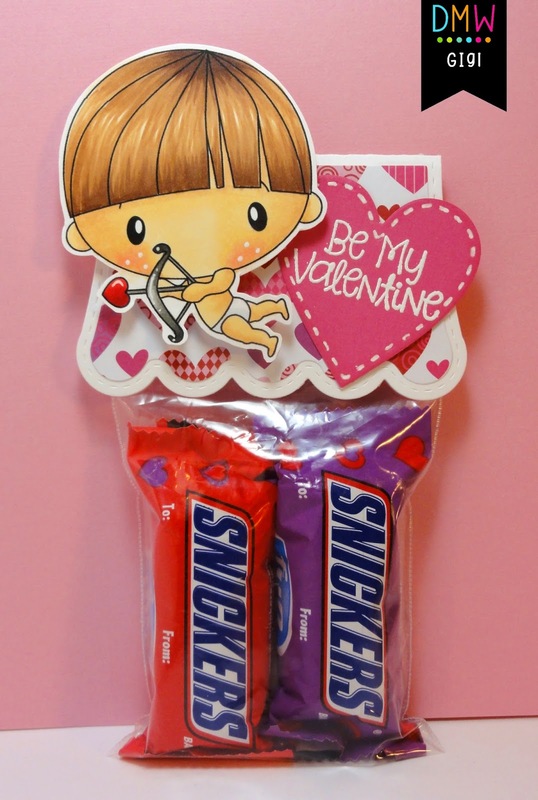 This is GiGi from The Cricut Bug and I am sharing this cute Valentine treat bag. I used the Lil Cupid Boy digital stamp for this project. This was super fun to make and a fairly fast project also. Perfect for those last minute Valentine treats! I printed and cut the Lil Cupid Boy and colored him with Copic markers. I added him on pop dots to the bag topper that I cut with the Jaded Blossom Scallop Slider and Topper Die. I also added a die cut heart from the Valentine Dies that I heat embossed the sentiment from the Valentine Signs stamp set. To finish, I added some candy bars to a 3 X 4 inch Clear Bag and glued the topper on. 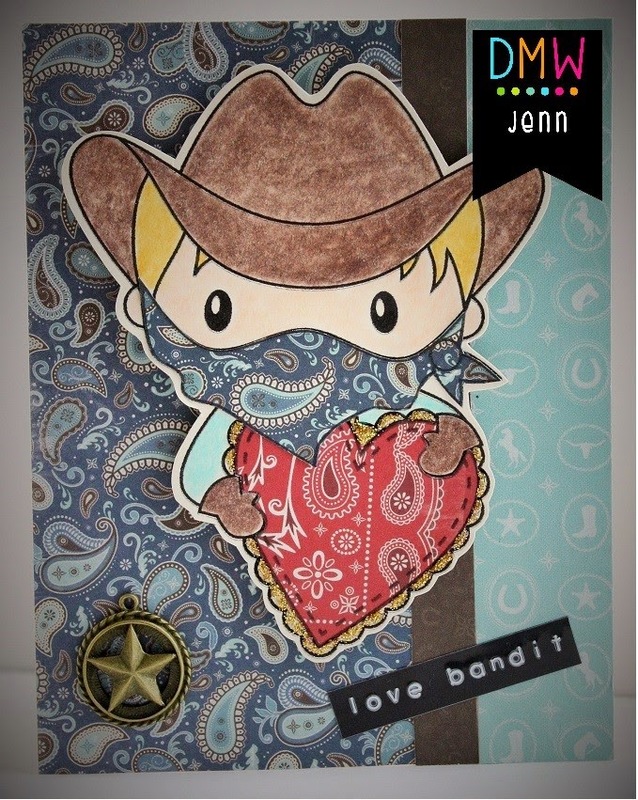 I colored Love Bandit with Prismacolor pencils & mineral spirits, and used paper-piecing for his handkerchief & the heart. Papers are from Carta Bella. I made the sentiment with my Dymo Caption Maker and added a little charm from my stash. Peace. It's Sandy here from A Little Piece Of Heaven! Since Valentine's Day is right around the corner, I thought I would share with you one more Valentine card to hopefully inspire you in any way. This here is an image called Puppy Love found at the Digi My World Store in the Valentine section. There is two images on the file, one is the girl holding a puppy, and then this one. I just got a new set of stamps and die set that I couldn't wait to use. It is Marianne, COL1307. I used some of the stamps, and the hearts at the bottom of this card. I thought it would sure come in handy and be used a lot! The paper is from The Paper Studio called Crazy For You. I used Memory Box, Scalloped Circles. the image was colored with my Copics. I lightly inked around the image with my Stampabilities, Light Pink. To finish the card off, I used my white gel pen, some gems, and a black glitter gel pen. I hope you come back for tomorrows post! My DT sister Rene is using the other image from Puppy Love. It is so cute! Hello! Mel with a new card for you today. I just could not wait to color this cute bee from Bee Mine. Bee Mine is a new digital stamps that was added to the store last month. I printed and cut him out with my Silhouette Cameo. He is colored with Spectrum Noir Markers and a heart shaped doodle with a black Micron pen. The sentiment is from Jaded Blossom's We Go Together 2. Hi everyone and happy Monday!! Hope you have all enjoyed a wonderful weekend. 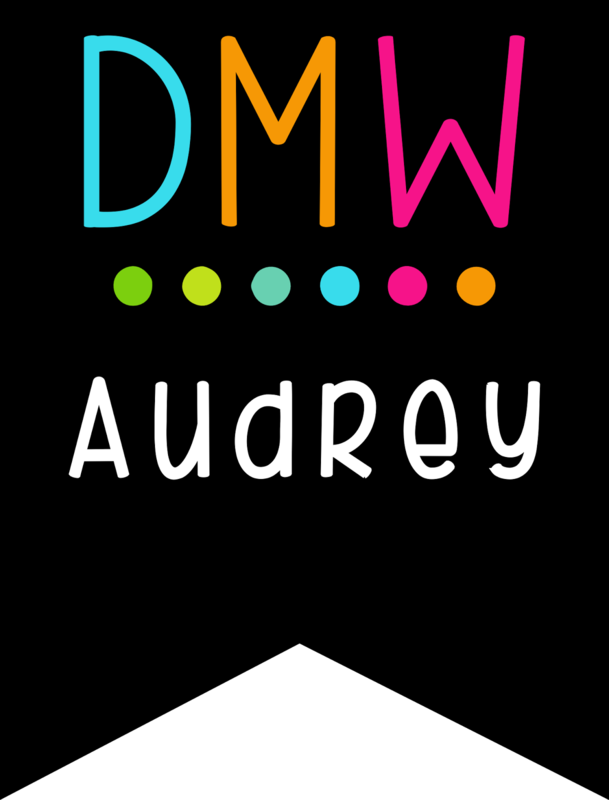 I am Audrey from the DT and I get to share my newest creation with you today using one of the adorable images from Digi My World Shop. I don't know how things are in your part of the world right now, but here in Ohio it has been cold and snowy and grey for what seems like way too long. 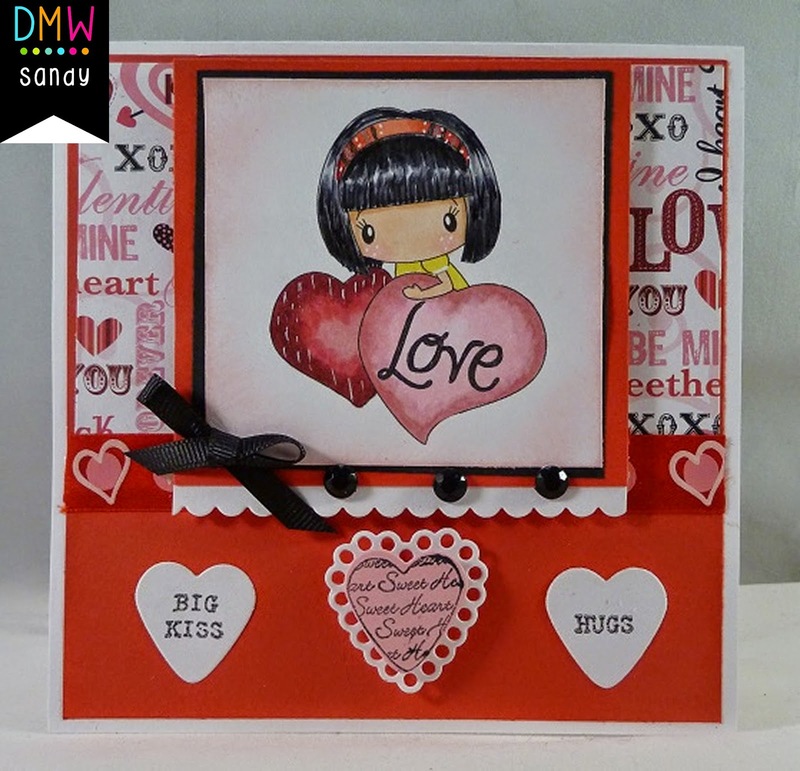 I had initially printed out Girl in Cloud, which can be found at Digi My World Shop, to make a Valentine creation, but then I was in my craft room looking at this adorable image and saw some new Doodlebug Designs DP I had just purchased sitting off to the side. 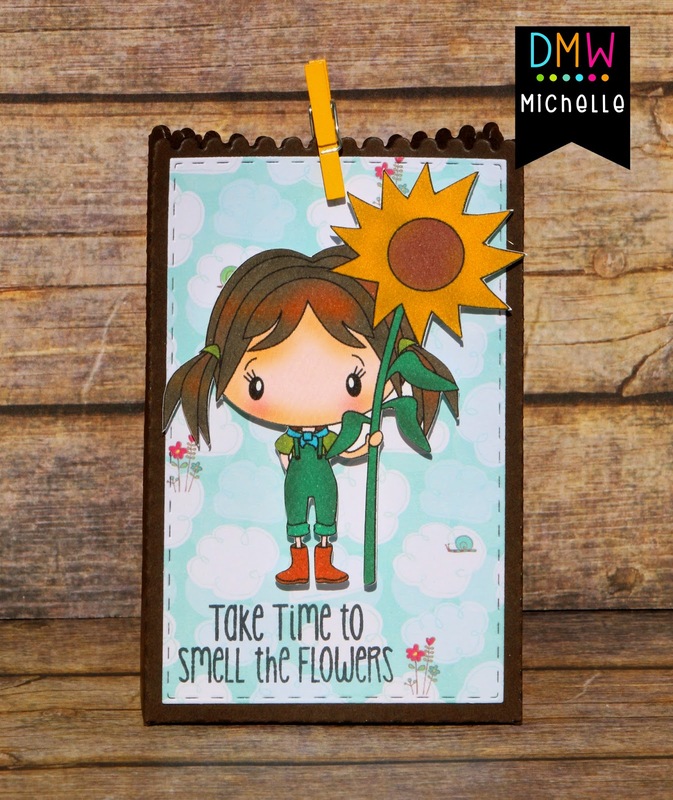 That made me think of spring and the beautiful colors, and the sunshine, so I made a spring card instead:) I love images like Girl in Cloud because it is so versatile and can be used for many occasions. Image is colored with Copics - I used RV19, RV29 and RV25 for the bottom of her dress and the bow. I chose RV 17, 14, and 13 for the heart on the bow and the top of her dress, to which I also added polka dots using Sharpie paint pen. I used BG02, BG01, BG000 and BG0000 for the cloud. Sentiment is from Scrappy Mom's and cut with Sizzix die. Flower die cut is Leabilities and flowers are from Wild Orchid Crafts. I sure hope you like it ans will pay a visit to Digi My World Shop.